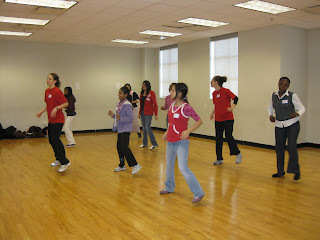 AALEAD, Girls Leadership Program organized a dance workshop on Saturday, February 27, 2010. 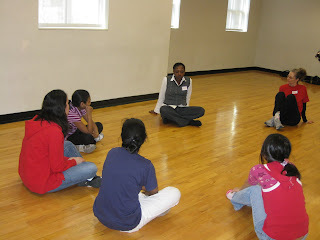 Thanks to Sara Potler (Founder of Dance4Peace) for facilitating the workshop for our students. Dance 4 Peace is an innovative, global curriculum that uses dance to inspire youth to be leaders and peacemakers in their communities. The workshop aimed at helping the students in building their confidence and learning to focus on their core strength and flexibility through fun dance moves. We also had Becky from Service for Peace, who talked about Haiti and brainstormed with the students on raising awareness/funds. As a follow up from this workshop, AALEAD is collaborating with Service for Peace and two other organizations for another dance workshop to highlight and raise awareness of the Haiti disaster. 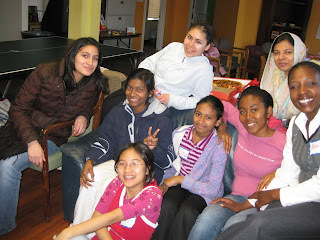 The workshop will be held on March 20th 2010 (Saturday) and will be open to all youth. The workshop is geared towards self-discovery and learning of youth’s potential to influence their local and global communities through the power of dance and expression. 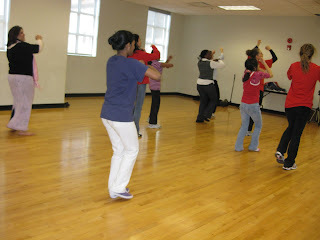 Come join us for a session of fun through dance and reflection for fellow youth in Haiti on March 20th 2010 (Saturday). masoora, you mixed liza and lupin up!